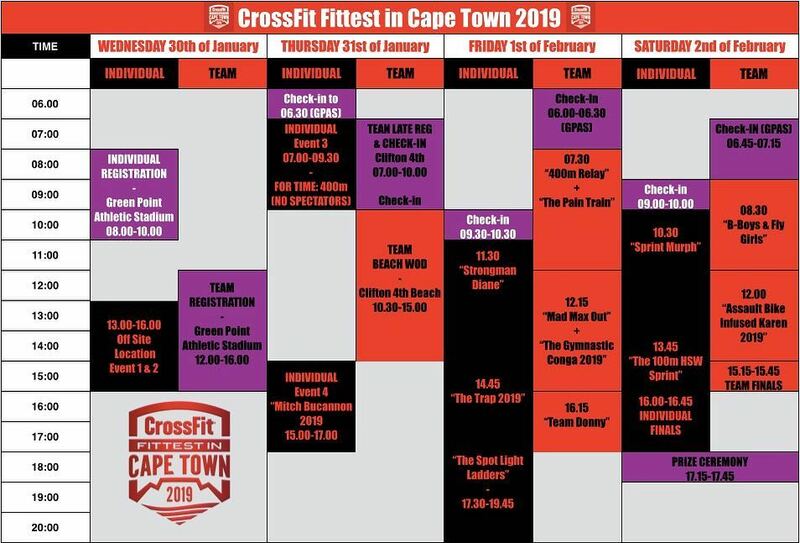 Fittest in Cape Town is live for the first time in FiCT history Facebook Live. Note from FiCT 19: "The production is a simple version of a live feed and will NOT be commentated at all times as an example. The idea is for people from across the world to check in and see what's going on in combination with keeping themselves updated through our Social Media channels that will pump information constantly." "There will most likely be a little wrap up from most events, and/or atthe end of each day where our MC's will give you a break down on what's happened so far." "We hope you support our efforts to make FiCT somewhat accessible even for those that can't attend the stadium itself." Watch live on Facebook here, or visit fittestincapetown.com. The event schedule and more is available here.